Have you calculated how much revenue you’ve lost due to tenant turnover problems over the years? It’s a common underplayed issue for property investors, landlords, and even the best property management companies. When the boom times fade, will this become your top property management business issue? Let’s take a look more deeply why property managers lose tenants and 12 ways you can keep your tenants. And for those who don’t really study the matter, condo or apartment vacancies can increase workload, impair cash flow, and reduce property investment income. 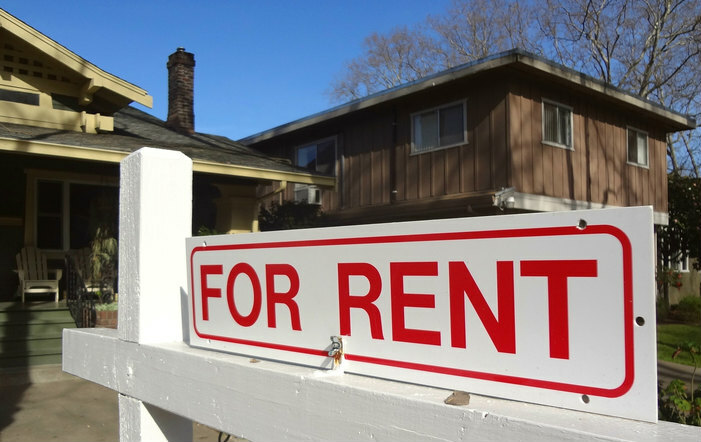 During periods of low rental availability, some properties suffer high turnover rates. And when tenants don’t renew, it can reduce your confidence in your business. As a landlord or property manager you may be stuck cleaning the unit, making costly repairs to make it presentable again, advertising the vacancy, screening prospective tenants, and more. And if your unit is in a low quality neighborhood with a less competitive condo or apartment, your margins are too low for this kind of loss. If tenant turnover has been a problem for you, you’d be wise to get analytical about the cause and strategy how to fix it. As a landlord or property manager, you may know the primary reason is the tenant has had some sort of employment or life change event. Perhaps they lost their job or the couple broke up. Or they could have landed a new job with higher pay and need to move closer to that new company location. Increasingly, tenants are demanding modern lifestyle enhancements that include mobile communications and account management. They don’t want old school time consuming ways of communicating or paying. Poor Tenant Screening – while high income, well employed, stable tenants are perfect, they’re also likely to move up in the world, and move to a new home. Poor quality, unstable and unreliable tenants can leave for reasons of unemployment or money pressures. All of these issues are foreseeable in your tenant screening check. Ready to make ManageCasa your new property management home? No obligations, sign up for free. Demographics, Young and Struggling vs Older Renters – just being young means the person isn’t established, lacks job skills, isn’t certain about what they want and where they want to live. Younger tenants like change, experience, and new situations. It might be in their nature to be transient. Better Neighborhoods near Jobs and Better Opportunities – specific neighborhoods have a better employment profile/rate. Some, usually upscale are occupied by tenants who are more comfortably employed and if they leave one job, there are plenty others in their field nearby. Downtown neighborhoods are a case in point. High Cost of Living – the high cost of living including rental prices means tenants are stretched to make payments and keep their finances healthy. One negative event or cost (medical, car repair) could push them over the edge. They are sensitive to rising interest rates, food bills, and home heating charges. Rent to Income Ratio – If tenants pay more than 40% of their take home pay to rent, it leaves no margin for emergencies and the stress may become too much if they have personal debts to service. The Job Market – the job market today is fast changing with more long distance moves than ever before. For those in the gig economy, or who own their own business, change is even faster. The Economy in Regions – cities and communities in upcoming cities such as Houston, Dallas, Austin, Las Vegas, and Seattle benefit from thriving economies. In cities and neighborhoods in decline, the vacancy problem increases. This is why investors invest nationally and internationally rather than local. Quality of Relationship and Communication with Tenants – some landlords and owners keep their distance from tenants lives. Yet tenant/owner clashes often result from poor communication and management, resulting in complaints and terminated leases. Either way, the resulting vacancy means property cash flow problems. As part of an overall strategy to prepare for, capture, and keep long term tenants, you must practice good property management skills. Let’s take a look at 12 practices that could help you eliminate tenant vacancy issues. You might also offer to enhance some aspect of the apartment/condo to increase their comfort. People don’t like to leave their comfort zone. When tenants show signals they are going to leave and not renew their lease, you could respond by offering free utilities for 6 months, reduce rent slightly, or keep it at current rental rates. You might also offer to enhance some aspect of the apartment/condo to increase their comfort. People don’t like to leave their comfort zone. take tenant screening seriously – screen well, check references and accept those who are a good fit your building and unit. It’s sort of like a marriage and you can get a sense when you meet them whether they like your house, condo or apartment. avoid big rent increases – a big increase could be used justify leaving when they didn’t really feel that strongly about it before. Ensure you are ready with new tenants in the pipeline. respond to tenants questions and issues promptly – get back to tenants using SMS, email, or phone. Those long waits, or being unable to reach you could shatter trust and confidence. give incentives for tenants to sign a 2 year agreement – They won’t sign long term unless they like your value proposition (property and terms). modernize with property management software – software takes the load off and makes it easier to stay on top of things so you have more time to concentrate on your tenants. ensure good relations and communication with tenants – ask for a visit to say Hello and bring the a bottle of wine — appreciation makes them feel good about where they are at this point in their lives (contentment). provide incentives to stay and pay on time – give them a gift or small discount if tenants in good standing decide to stay another year or two. be open and honest about mechanical issues and delays – when furnaces, washers, dryers, A/C units, or windows are not working, give them certainty about repairs so they can relax. The issue of lowering tenant turnover is within your management skill set. You know the factors and can ensure you erase the negatives and build on the positives. Ensure you study your tenant/building issues so you’re not kidding yourself. If you can save 1 month’s rent, advertising costs, tenant screening costs, and the price of cosmetic repairs, then reducing tenant turnover actually has a valuable ROI. Look at it as preserving your revenue, optimizing cash flow, and maximizing your property portfolio performance. Buying Vs Renting | Should you Buy or Rent in 2019? Which Multifamily Markets are Best for 2019?